Caliber 12.1. Chronometer-certified by the COSC*. 70-hour power reserve. Highly resistant ceramic watch. Swiss made. 5-year warranty. TI M E , A H E RMÈ S OB J ECT. Arceau, L’heure de la lune Time flies to the moon. GLOBAL EDITION | CHAPTER 2.2019 PATEK PHILIPPE CALATRAVA WEEKLY CALENDAR REFERENCE 5212A-001 Silvery opaline dial, blackened gold applied hour markers. Blackened white gold two-face dauphine hands. Steel case 40 mm x 10.79 mm. Water-resistant to 30 m. Sapphire crystal case back. Strap: calfskin, hand-stitched, light brown, prong buckle. Calibre 26-330 S C J SE. Self-winding. Weekly calendar, day and week number by hands, date in an aperture. Sweep seconds. Central rotor in 21K gold. Frequency: 28,800 semi-oscillations/hour (4 Hz). Power reserve: min. 35 hours ­max. 45 hours. Day-of-week and week number correctors. Poinçon Patek Philippe. CALATRAVA WEEKLY CALENDAR REFERENCE 5212A-001 DIAL: Silvery opaline, blackened gold applied hour markers. Blackened white gold two-face dauphine hands. CASE: Steel. Diameter: 40 mm. Height: 10.79 mm. Water-resistant to 30 m. Sapphire crystal case back. STRAP: Calfskin, hand-stitched, light brown, prong buckle. DISPLAYS: Hour hand, Minute hand, Second hand, Day hand, Week number hand with corresponding month. Aperture: Date. CORRECTORS: Day-of-week correction. Week number correction. Poinçon Patek Philippe. ooking at this watch, which is fresh off the bench, you have the impression that it’s been around forever. It already looks like a Patek Philippe classic. And yet this impression is completely false, because Patek Philippe has never offered a week number function before. So, where does this impression come from? Probably from a host of subtle details that are invisible at first glance, but which exert a tangible effect on the viewer. What is most striking from the outset is its great legibility. The eye is not forced to scrutinise the dial to understand what it’s seeing. The hierarchy of time and calendar indications, supplied by five central hands and a single window, is crystal clear. This refreshingly lucid geometry is displayed in black against a silvery opaline dial. The chromatic high point is the hammer-shaped red tip of the two central hands, one pointing to the day of the week (in a ring around the centre) and the other to the month and associated week number (on the two concentric scales around the periphery). Only the date is displayed traditionally, in a window at 3 o’clock. But the display as a whole, which might have come across as overly rigid, technical and ruthlessly utilitarian, instead has a unique charm. The dial is visually appealing. But what makes it so seductive? Take a closer look On paying closer attention it becomes clear that the singular resonance of this piece comes not only from its perfectly centred geometry, but also, and perhaps mainly, from its typography. Not one figure, not one letter is like another. Each one is unique, and slightly different from all the rest. And that’s because it is all done by hand. The lettering is the work of one of the manufacture’s designers, adopted and replicated exactly on the dial. It was a rather inspired decision, taken by Thierry Stern himself, we’re told. And it’s probably the lettering that immediately sets the vintage tone of this watch. But it’s a kind of vintage that we haven’t seen before, embodied in this unique display with its discreetly poetic interpretation of hand lettering, its whiff of calligraphic nostalgia. The vintage appeal is enhanced by the round Calatrava-style case, with its 40 mm diameter and height of 11.18 mm, in steel – not a material we’re used to seeing from Patek Philippe. The generous bezel and two-tiered gently curved lugs draw inspiration directly from a one-of-a-kind model dating back to 1955 (the Reference 2512, which connoisseurs can see at the Patek Philippe Museum in Geneva). Top it off with a subtle box-type sapphire crystal, and you have the Calatrava Weekly Calendar. We think it’s a very fine watch; a keeper, without a doubt. new patented clutch wheel (the result of a highly complex manufacturing process, we are told) that drives the mainspring barrel in one direction and uncouples it in the other. Another optimisation is the addition of a reduction wheel that is uncoupled from the automatic winder when the watch is wound manually. Multiple efforts to reduce friction, and thus increase performance and reliability, all combine to make this movement what it is. Semi-integrated mechanism The semi-integrated mechanism of the weekly calendar includes 92 additional components, for a height of just 1.52 mm. This brings the total height of the movement, inclusive of the semi-integrated mechanism, to 4.82 mm, with 304 components. This extreme thinness comes thanks to a baseplate specifically developed and machined to accommodate the mechanism. The day display is driven by a seven-pointed star placed in the centre of the movement, on the hour wheel. The week wheel with its 53 teeth (because, every five to six years, a year has 53 weeks rather than the usual 52 – the next time this happens will be in 2020) is driven by a second seven-pointed star with an extended Sunday tip, which starts off the new week on a Monday, in accordance with the ISO 8601 standard (see sidebar). In order to avoid energy consumption peaks (the automatic movement has a power reserve of at least 35 hours, up to a maximum of 45 hours) the calendar displays advance semi-instantaneously in discrete steps. Another important point is that, as a so-called “useful” complication, it should deserve its title. Accordingly, the safety features implemented by the movement’s designers allow the user to make the necessary corrections at any time of the day or night. For the weekday and number, adjustments are made via two pushers placed at 8 o’clock and 10 o’clock respectively. The date is corrected on the crown (pulled out halfway – the maximum extension is used to stop the balance in order to set the exact time). It bears repeating: this Calatrava Weekly Calendar is successful in every respect, and certainly has a promising future ahead. After all, as people sometimes also say: “God is in the detail”. How did I first get involved in watchmaking? How come I stayed so long in the industry?” Anne Biéler asks herself out loud, with a mischievous look. The answer is spontaneous: “It’s not so much for the watches themselves, but more because of the people behind them: the watchmakers and the craftsmen. I have met some fantastic people.” Aside from her early fascination for craftsmanship, there was nothing to suggest that Anne Biéler would become a key figure in the world of haute horlogerie. The Fondation Sandoz approached her in 1995 to work on the communication of the Parmigiani brand that it was preparing to launch. At the time, Anne, who had travelled the world with her diplomat husband, was involved in dance and theatre. She was head of ARC, a home for artists in Romainmôtier, at the foot of the Jura. When she discovered the workshop where Michel Parmigiani restored antique timepieces, she fell in love with this exceptional art. She has kept up this passion ever since. “I learnt so much from Michel. At the time, relations with watchmakers were direct, there were no intermediaries. That has all changed. Gradually everything has become controlled, delineated and compartmentalised. But the best part of this industry is the relationships,” she sighs. ”However, watchmaking is unfortunately simply following the trend of society as a whole.” She left Parmigiani on a whim in 2000, and found herself unemployed. Three days later though, she got a call from Franco Cologni asking her to work in the communications and press relations department of the SIHH. “I loved working with him, and with Fabienne Lupo. Franco Cologni was my mentor. He was uncompromising but brilliant, a true visionary. He forces you to excel yourself intellectually. He is clever, seductive and has a great ability to unite people. But you don’t want to get on his wrong side. There's no one like him left in the watch industry today. Standardisation comes at a price.” Another significant encounter was with Gino Macaluso, who was the director and owner of Girard-Perregaux. She worked by his side from 2004 to 2010 for the Swiss press. “Gino was a gentleman. He was more of an aesthete than a businessman. Everything was based on beauty with him. And the atmosphere was always pleasant. I was very fond of him.” She then moved to Vacheron Constantin, where she was taken on by Juan Carlos Torres. “I mainly worked on major cultural partnerships, with the Institut des métiers d’art, the Ballet de l’Opéra de Paris, the Orchestre de la Suisse Romande, etc. I stayed there four years, working hands-on with the arts.” From then on, Anne Biéler, who had always worked freelance, left the watchmaking industry and pursued her career in culture, supporting artists and, among many other things, working on the Verbier Music Festival. “That is what I have always enjoyed most: being in close contact with artists and creators, beauty, diversity and new generations. I have got so much out of it, which is the main thing.” As the saying goes, you get out what you put in. America: Trump, the great outdoors, the dreams and the violence, the grandeur and the misery... and also the firepower of Apple Watch and Rolex, as well as all the evolutions that usually take root here before reaching the rest of the world. We spend a good part of the year in the United States, reporting case studies, testimonies, observations, watchmaking news and opinion, which we are presenting to you in this special report dedicated to the American market, and to watchmaking Made in the USA. But can a country that has lost its oncegreat industry still be a watch nirvana? We have gathered comments from various voices, on our road trip through the highways and byways of American watchmaking. Faced with the mighty Apple Watch, large American groups active in the entry-level watch segment, such as Fossil Group and Movado, are launching a counter-offensive with their own connected products. 1st upheaval: the breakthrough of the smartwatch You can do a test, in a New York restaurant or at a Los Angeles gym, by looking at the wrists of the other people there. There is no doubt that the Apple Watch will be in the majority – and this includes women. Even more so than in Europe, the smartwatch has established itself in the under-$500 watch segment in the United States. It is one of the major upheavals to have occurred in North America since 2015. However, it doesn’t seem to have impacted the traditional luxury mechanical watch market. On the contrary, “fine mechanics” were on the road to recovery in 2018, a catching-up effect observed in both the US and in Asia. 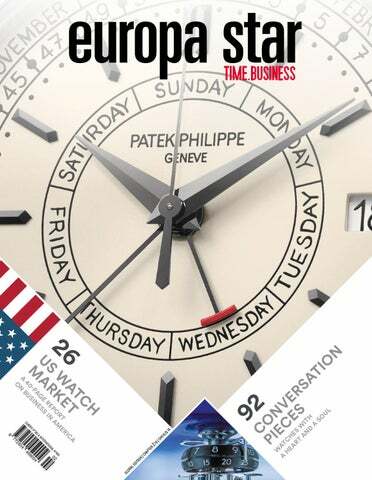 With more than 2.2 billion francs of Swiss watch exports to the United States last year, the market grew by 8% and is approaching the results of 2015. To sum up, one could say that the “volume” market seems to be gradually moving towards Apple, while “value” remains firmly anchored among the traditional Swiss brands. tailer Watches of Switzerland. As for Germany’s leading retailer, Wempe, it is firmly established in New York with a store on Fifth Avenue, as well as a space that the retailer operates for Rolex. All are attracted by the promise of a market that could grow in absolute numbers. Would the emergence of the internet encourage online sales of smartwatches? Or of ultracontemporary models? Neither, in fact. The first segment to benefit from the arrival of e-commerce has been the so-called “grandfather’s watch”, second- or even third-hand, on a market that is still often greyish, fuelled by genuine vintage timepieces, but also by the effects of an overproduction of watches, via socalled pre-owned models, in reality often “never-worn”, at fire-sale prices. The online watch sales landscape remains something of a jungle, but clearings are starting to appear. In this respect the United States, the cradle of digital technology, is acting as a pioneer, but it needs to be closely monitored. Beyond Amazon or eBay, major players specialising in the sale of second-hand luxury watches have set up shop. WatchBox has just opened an office in Switzerland, and there’s also True Facet. The latest step is to bring the online secondary market closer to authorised retailers and brands. WatchBox has set up a partnership with Californian retailer Hing Wa Lee, and its arrival in Switzerland is also related to its desire to offer brands a direct channel to the secondary market. The historic American retailer London Jewelers has established a partnership with the preowned platform Crown & Caliber. Having just raised $10 million in venture capital, True Facet is working with Silicon Valley retailer Stephen Silver, and also directly with brands such as Raymond Weil and Fendi. The new Watches of Switzerland store in SoHo, New York City. The British retailer is undertaking a massive expansion plan in the United States. GM Watch Company is housed in a former bank in the small town of Mount Joy, Pennsylvania. It’s a solid brick-built structure with a vintage but still very reliable safe. On the ground floor, three watchmakers are busy at their workbenches. After the tour, the discussion begins with Roland G. Murphy, one of America’s only master clock and watchmakers. “The United States has always been a country oriented towards mass watch production, before everything moved to Asia,” says Roland Murphy. “The large factories in our region operated very differently from our craft workshops. In a sense, I am an heir to this watchmaking tradition, but an heir with a very different face.” He feels closer in spirit to the likes of Kari Voutilainen, Svend Andersen, Peter Speake-Marin or the Grönefeld brothers. However, it was at the Hamilton facilities in Lancaster that it all began for the native of Maryland. Before Hamilton he completed an apprenticeship as a carpenter. During that time he took a job with Danecker Clock Co. where he worked on the wooden cabinets for clocks. When the company went bankrupt, Roland Murphy bought the stock of clocks and began to analyse their movements. This was the beginning of a passion that still grips him today. The headquarters of the company: a former bank in Mount Joy, Pennsylvania. He joined a technical school in Pennsylvania (which has since closed its doors) to take a watchmaking course, before flying to Switzerland in 1986, where he perfected his skills at Wostep in Neuchâtel. Back in the United States, he was hired by SMH to work on product development for the Hamilton brand in Lancaster. Bad retail experiences Most customers are American watch connoisseurs. Roland Murphy chose to switch to a 100% direct sales model more than a decade ago, after a series of bad Fortunately for him, the watchmaker initially acquired experiences with retailers. a large number of Nivarox assortments via third parties, “At first, I started by collaborating with retailers, but which he still uses today. The first models were skeleton- I realised that it was better to give it up for a small ised column-wheel chronographs equipped with Valjoux independent brand like mine,” explains the watchmovements. With the help of Jean-Daniel Dubois (now maker. “The major brands give advantages to sellers director of Vaucher Manufacture), then at Lemania, he to ensure their supremacy. One day, a customer went was also able to launch several small series of tourbillon, to a point of sale that represented me in California minute repeater and perpetual calendar watches. and asked for the price of one of my watches: he was At the same time, he continues to work as a restorer immediately redirected to another brand. This hapof vintage timepieces, providing after-sales service in pened three times in three months. Enough to unthe United States for brands such as Sinn, Eberhard derstand that it was no accident.” & Co. and Titoni. This supports RGM’s activity as an RGM Watch Company took the drastic step of withindependent brand, with a dozen emdrawing from the dozen or so points of ployees today. sale that represented it in the United In 2007 the RGM Watch Company States. “By getting rid of this margin, it launched its first in-house movement afalso allowed me to offer more affordater seven years in development. Today, the ble models,” continues Roland Murphy. company has four Made in America cali“In the end, we reduced production and bres, for an annual production of some increased our margins. With the advent 250 watches. The brand has specialised of the internet, we have really grown, in the segment of custom-made models, especially thanks to the impact of social a growing niche, as well as in the trade-in networks and the support of specialised of second-hand timepieces against new blogs.” The watchmaker manages the RGM watches. RGM Calibre 20 movement with motor Instagram account of his brand himself. Current collections include the Pennsylvania series, which ranges from models under $10,000, equipped with custom cases, with parts made by a local aerospace industry supplier (! ), to a tourbillon model in steel priced at $95,000. For the company’s twentieth anniversary in 2012, the Calibre 20 was launched on a model with guilloché dial and precise moon-phase indication. The most recent movement developed by Roland Murphy and his team is the Calibre 801 with a sweep second, inspired by Patek Philippe’s classic central second system. The watchmaker is currently working on a new higher-end calibre, similar to the Zenith 135 or the Peseux 260. RGM Watch Company also uses ETA movements to offer more accessible watches, such as the 151 model priced at $3,000. The company even offers its vision of Americana through the Baseball Watch model. With his experience as a restorer, the watchmaker doesn’t want to hear about using silicon in his calibres: “When I think of a watch, I think of its repair in several decades’ time. Too few brands take this into account. This is also why independents are so popular with collectors. We’re dealing with humans, not technocrats.” Roland Murphy's succession seems to be assured, since his son-in-law works for the company, and his son has just graduated with a specialisation in CNC operations. The citizens of his region are no longer exposed to the importance of the watchmaking industry, however. “Many people are unaware of the long industrial and watchmaking heritage of our territory, despite the presence of the National Museum of Watchmakers and Clockmakers.” So, with his good humour and sincere speech, Roland Murphy acts as a salutary reminder, which may lead to new vocations among those whose grandparents devoted their lives to watchmaking. PS-801-CH “Chess in Enamel”: the first RGM timepiece with a double-sunk real glass fired enamel dial. The inspiration for this watch was a pocket watch given to American chess master Paul Morphy in 1859. When he visited the Worldâ&#x20AC;&#x2122;s Fair in Philadelphia in 1876, Swiss watchmaker Jacques David was alarmed by the rapid growth of American industry. His letter to his colleagues remains famous, as it triggered a strong wave of modernisation in the Swiss industry. We take a look back at the most successful years of the Made in USA watch. ndirectly, Swiss watchmaking owes a debt of gratitude to American industrial genius. Indeed, it was the threat of obsolescence in the face of US productivism that set in motion a major project to modernise the working structures of the Swiss watch industry at the end of the 19th century. Something similar would happen again a century later, in the face of the performance of the Japanese quartz watch... America was built on the conquest of new territories and the advance of the railways deeper and deeper into the Wild West. Watchmakers played a major role in this undertaking by providing time measurement tools to coordinate this progress and avoid accidents in a very large country with a multitude of time zones. For the needs of the railway and the conquest of the West, American watchmakers worked hard to accelerate production, quickly moving towards assembly lines and mechanisation. At the Philadelphia International Exhibition in 1876, Waltham, based in Massachusetts, demonstrated the capabilities of a watch production line, introducing a fully automated machine to manufacture precision screws. This had a great impact on Jacques David, Longines’ technical director. His letter to his compatriots, entitled “MM. Les Horlogers Suisses: Réveillez-vous” (Swiss watchmakers, wake up! ), acted as an alarm bell for the Swiss industry, which was still largely based on the age-old system of “établissage”. A view of the interior of Shinola’s first hotel in Detroit. fter watches, bikes, notebooks and recordplayers, it’s the turn of loudspeakers and headphones, as well as a hotel and a brand of cola. After all, why should a watch brand restrict itself to its primary mission, especially if its groove is lifestyle? Shinola, launched in 2011 by Tom Kartsotis (the cofounder of Fossil), has taken things to an extreme, since it is has just opened its first hotel in Detroit. The leitmotiv of this ongoing diversification, in whatever product category, is design. Watches remain the principal business of this young brand with an old name – Shinola was a famous American shoe polish manufacturer during the first half of the twentieth century. The careful, ultra-classic, elegant design of the watches has won over new generations of buyers in the United States. The best-selling lines are the Bedrock and the Runwell, with prices ranging from USD 550 to 2,200. The brand has so far produced almost exclusively quartz watches, except for a few mechanical series in limited editions. And quite naturally so, since the Shinola factory in Detroit, where the watches are assembled, was born of a partnership with a Swiss champion of quartz watches, Ronda. However, in 2019 it is launching an offensive on the automatic watch front, this time partnering with Sellita to supply calibres for the new Runwell Automatic timepieces. A new calibre in Motor City A few years ago, the brand was admonished by the strict Federal Trade Commission (FTC) over the Swiss and non-American origins of certain components of its watches, including, precisely, those from its partner Ronda. Since then, it has had to use the label “Built in Detroit using Swiss and imported parts”. But who cares about the label, the locals would say, because in Detroit, the brand has become the living symbol of a city which is seeking to create a post-industrial dream, “Motor City” having been ruined long since by globalised delocalisation. Shinola now employs more than 650 people across factories, retail, and corporate. The brand shares its Argonaut Building premises with a famous industrial design establishment, the College for Creative Studies, and does not hesitate to make use of its young talent. Not content with just reburnishing Detroit’s image, Shinola is now placing itself in the role of moral support-giver to immigrants, with its Statue of Liberty line, an extension of its Great Americans series and, first and foremost, a reference to a tense political context on this issue in the United States. The new Shinola Runwell Automatic is powered by a Sellita movement. The challenge facing Shinola will be to withstand the test of time, when the current predilection for ultraclassic, vintage lines starts to wane. What will happen the day when the hipsters shave off their beards and start looking ahead, towards more futuristic products once again? On that day, Shinola will have to be able to fall back on its natural elegance. We are also proud of our partnership with Hodinkee, who have a successful e-shop. You have opened a Grand Seiko store in Los Angeles and have Seiko stores in New York and Miami. What is your strategy for the distribution of Grand Seiko in the United States, especially in terms of the difference between retail and wholesale networks? Akio Naito: The flagship store inaugurated in Beverly Hills is part of our new strategy, because it allows us to control our image in order to deepen this market. However, the idea is not to multiply brand stores. The wholesale network is our priority. Our goal is to have approximately sixty Grand Seiko partners of high quality in the United States. MB&F and Ressence are among the “indy” watch brands carried by Cellini. avid Lee’s Instagram account, A growing target group aka “ferraricollector_davidlee”, has all the elements you might Now 52 years old and preparing the expect from the lifestyle of the superthird generation to take over, David rich in Southern California, like sports Lee took the initiative to start opening cars, private jets and extravagant watchstores and diversifying into watchmakes. The owner of Hing Wa Lee Jewelers, ing when he joined the family business in San Gabriel and Walnut, has one milin 1992. “Today, we are satisfied because lion subscribers on his private account. we have 99% of the watches we like to As a representative of Rolex, Cartier, sell,” says the entrepreneur. Richard Mille, Hublot and Omega, he With Chinese customers largely “Some of our addresses a very specific clientele: the dominating global watch sales, some wealthy Asian community in Southern competitors can speak other stores in the region now hire California, whether they are residents Chinese, but the big employees with a good command of or visitors. It’s a successful niche for one difference is that we the language. David Lee, however, inof the last multi-brand retailers in this tends to keep his grip on his clientele, think in Chinese!” region. David Lee has dramatically inwith a simple formula: “Some of our creased the turnover of the family busi- David Lee, owner of Hing Wa Lee competitors can speak Chinese, but ness founded 50 years ago by his father, Jewelers in South California the big difference is that we think in a gemstone carver, since he took over. Chinese! The entire team is able to After swimming across the inlet between Hong Kong manage the Chinese market in its diversity: a Shangand Macau, an extremely dangerous journey, his fa- hai customer is not a Beijing customer. It’s easier to do ther settled in the United States in 1980 as a jewellery business with our cultural knowledge.” distributor. The Hing Wa Lee Plaza store in Walnut, with the personal Ferrari collection of owner David Lee. f we could only mention one historical family watch retailer in the United States, it would probably be London Jewelers on Long Island. It’s simple: we met the whole family, the third and fourth generation, and each member took turns telling their story, with strictly rationed speaking time. After more than 90 years in business, London Jewelers has boutiques in Manhasset, Greenvale, Glen Cove, East Hampton and Southampton on Long Island, as well as in the Oculus at Westfield World Trade Center, in Manhattan. The retailer has created a unique boutique alignment in Manhasset, where it operates a true “artery of luxury”: a multi-brand store, a Van Cleef & Arpels boutique, a Chanel boutique, a David Yurman boutique, a Cartier boutique, and an innovative bridal concept boutique exist side by side. In 2008 they opened their first small store dedicated to jewellery. Stephen Silver’s son continues: “I saw all the development potential that exists in the region with watchmaking, in order to reach a male clientele. Finally, in 2014, we opened a watch store, which from the beginning accepted crypto-currencies as a means of payment.” Most of the customers are young, with strong purchasing power, already collectors, with a pronounced taste for the exclusive and disruptive luxury segment. “Of course, they are very active people who travel a lot and could buy watches anywhere in the world, but we offer two advantages: a solid inventory and a responsive local service,” explains Jared Silver. From top, clockwise: Stephen and Jared Silver. The retailer carries the ultra-exclusive creations of Greubel Forsey. A view of the Stephen Silver store in Menlo Park. Unlike many of their competitors, We’re always very happy when we the Rosenheim family systematicalget a call from 1600 Pennsylvania ly refused to open other stores, turnAvenue.” Matthew Rosenheim ing their only boutique, which now has a rare privilege in the watch indusoccupies a historic building in the city try: the president and owner of the centre, into an impregnable bastion Tiny Jewel Box boutique, which has of jewellery and watchmaking. Its hissold timepieces for 17 years, is Rolex’s tory began – unusually in the industry exclusive representative in central – with a woman, Roz Rosenheim, who Washington DC – the most internaopened her jewellery store in Washingtionally sought-after brand, in the ton in 1930 and counted Franklin Depolitical heart of the most powerful “Here, the local lano Roosevelt as a regular customer. country on the planet. While many The exhibition space is no longer concurrency is not fear for the survival of the “bricks-andfined to the 100 square feet of the mortar” model, such a competitive money, but your original shop (hence the name of the network, who will take advantage is difficult to beat. boutique); its area has multiplied by “In many ways, and despite all the your call or not!” 80 in 80 years, as the Washington Post technological developments, my Matthew Rosenheim, CEO of Tiny underlined in a portrait of this iconic job remains very similar to that of Jewel Box in Washington DC DC store. “We like the idea of a single my grandparents,” Matthew Rosendestination, embodied by familiar facheim emphasises. “We do business based on human es, with the owner on site to welcome you,” Matthew relations. Of course, we develop new strategies, but Rosenheim explains. “When you operate a family busisometimes the simplest things work best.” Here, each ness, it is difficult to separate the business from your new product entry is meticulously thought out by the personal interests.” Rosenheim family. The Tiny Jewel Box store in downtown Washington DC. with the electoral base and the public service mission of its representatives. The word “understatement” takes on its full meaning here – and has nothing to do with purchasing power... “Here, the local currency is not money, but your network, who will take your call or not!” Matthew Rosenheim points out. When Obama and Bush meet Political elites, including a series of American presidents, are the primary clientele of this prestigious address. During the 2008 presidential transition, Michelle Obama presented Laura Bush with a gift from Tiny Jewel Box. A vintage brooch that the Obamas presented to the Queen of England in 2011 also came from there. In addition to customers and institutions from the political world, the shop also attracts businessmen visiting the American capital. The demographic structure of the city itself is changing. While the middle to wealthy classes settled in the suburbs from the 1960s onwards, as they did in many other American cities, we are now witnessing the opposite phenomenon, with the corollary of a real estate boom. Washington is gentrifying. HIGHLIGHTS This sponsored section gives our partners the opportunity to introduce their latest developments. Be it exclusive timepieces, legends of watchmaking or disruptive models, it shows a variety of designs, techniques and proposals. In a nutshell, it offers a glimpse into the incredible creativity present in the watch industry. We also take the opportunity afforded by our recently digitised 60,000+ pages of archives to go back in time and include some articles that we wrote back in the 1960s, 1970s or even earlier, about the timepieces presented by our partners. Look out for the archives in some of these Highlights. As a matter of fact, this section also highlights the longstanding coverage of industry news by our publication. And for the industry in charge of measuring it, isnâ&#x20AC;&#x2122;t time the most precious resource of all? In the upcoming issue, we will explore in more details the technical aspects of this new line. Stay tuned! A SWISS BRAND WITH A FAMILY SOUL FROM 1919 TO 2019 TITONI is one of the last remaining truly independent watch companies. It is run by Daniel Schluep, who represents the third generation of his family. The mission of the family firm, based in Grenchen in the heart of German-speaking Switzerland’s watchmaking region, has always been to offer durable, high-quality timepieces at an affordable price. Digging through the Europa Star archives, we found hundreds of pages that tell the story of the brand since its early days. Two particularly exciting discoveries were the celebration of the company’s 40th anniversary, in the pages of a 1959 issue, and references to its 50th anniversary ten years later (see below). For the first half of its history the brand was known by the name FELCO, the name under which it was originally founded, back in 1919, as well as FELCA, to which it was renamed shortly after. FELCA watches were sold all over the world, and in their day were among the most famous Swiss watches. In the 1950s a second brand, TITONI, was created, and became a hit in the complex Asian market. With the success of TITONI over the years, the independent family company decided to fully integrate FELCA into TITONI, and to devote all its dedication, watchmaking know-how and efforts to a single brand. 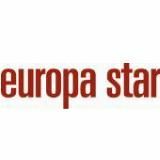 As we see in a 1970 issue of Europa Star, the company claimed the three adjectives “Accurate”, “Dependable” and “Elegant” – three words that still apply today, 100 years after the company was founded! THE 100TH ANNIVERSARY LIMITED-EDITION WATCH To celebrate a century of existence, the independent family firm is launching a limited edition (199 pieces) of its famous Master Series chronometer-certified watch: the 83188 S-1919R. This timepiece has all the same great attributes of a regular Master Series, with the addition of a silver sunray-brushed dial with elements in a subtle rose gold tone, as well as a 100-year logo at 9 o’clock to remind the wearer of the brand’s long history and tradition. The back of the watch presents another special detail: a classic green rotor with the number of the limited series in elegant gold lettering. Green has always been TITONI’s company colour, and has been gracefully incorporated into the watch for this special occasion. This elegant timepiece perfectly reflects what TITONI continues to stand for, after 100 years of existence: long-lasting, high-quality classic watches with an understated elegance and a passion for the finest details. THE LEGEND IS BACK TAG Heuer introduces a revamped version of the iconic Autavia. Inspired by its rich heritage and origins in the automobile and aircraft industries, this twenty-first-century model is ready for a life of adventure. From 1933 to 1957, the Autavia was a dashboard instrument used in racing cars and aircraft. The name itself comes from the combination of automobile and aviation. After production of the Autavia dashboard timer stopped, the name was still available. Then-CEO Jack Heuer decided to use it for the chronograph wristwatch the Swiss watchmaker launched in 1962 and produced until 1985. Since then, the Autavia had never returned as a collection. The original Autavia was known for making use of the latest technology, and the model introducing the rebirth of this model is no different. It houses the avant-garde watchmaker’s new Isograph carbon-composite hairspring, introduced earlier this year, for improved timekeeping performance. Powering the versatile Autavia 42 mm three-hand timepiece is the chronometer-certified Calibre 5. Having followed the brand since the 1920s, Europa Star has found in its archives several pages on the Autavia collection, including the example opposite. An on-board counter “Super-Autavia” featured in Europa Star in 1963. The cockpit-inspired Autavia 42 mm three-hand model features SuperLuminova® details on its smoky-effect blue dial and is perfectly legible in any conditions. A date window is located at 6 o’clock on the dial. The blue ceramic bezel rotates bidirectionally, and the rounded stainless-steel case and bevelled lugs mimic those of the Autavia from the 1960s. The XL crown takes inspiration from TAG Heuer pilots’ watches and timers from 1933 to 1957. HAMILTON AND HOLLYWOOD: A RETROSPECTIVE The Swiss made brand with an American spirit was founded in 1892 in Lancaster, Pennsylvania. Known for its innovative design, Hamilton has a strong foothold in Hollywood, with products appearing in more than 500 films. This is readily observed from the archives of Europa Star, which has followed the evolution of Hamilton for the last 90 years. Here are a few examples, from movies such as 1961’s “Blue Hawaii” starring Elvis Presley, to the classic 1968 “2001: A Space Odyssey” by Stanley Kubrick, which all featured Hamilton timepieces on the big screen. More recently, in 2014, the futuristic blockbuster Interstellar hit movie theatres, captivating audiences with its special effects, intriguing plot and the love story between a father and his daughter. The Khaki Field Murph timepiece is one of the main emotional links between the two main characters. It was clear that fans of the movie wanted an opportunity to own a piece of cinema history. Now that Hamilton is celebrating its cinema year, here comes the Khaki Field Murph! THE KHAKI FIELD MURPH With its 42 mm stainless steel case, black dial, beige Super-LumiNova® inlaid hands, H-10 automatic movement with 80-hour power reserve and black leather strap, the Khaki Field Murph is an exact reproduction of the movie watch. The only difference is one that is sure to appeal to fans of the movie. The word ‘Eureka’ is printed in lacquer in Morse code on the seconds hand. If you didn’t know it was there, you’d never see it: it is barely visible to the naked eye. For those in on the secret, it’s clear to see and will have special significance for Interstellar fans. In close collaboration with the film’s award-winning production designer, Nathan Crowley, the brand has also developed a special limited-edition box for the timepieces. INSPIRED BY THE PAST, SHAPING THE FUTURE Robust, sporty and sleek, yet also refined, intriguing, sophisticated: the new ARMURE MU03 with manufacture movement is a world of its own. It is equipped with the nO-Ring® mechanical direct-seal gasket-free watertightness technology. Water-resistant to 300m, but also splash-proof and easy to handle under water, the new watch by Mauron Musy is an ideal partner for all settings, including the most hostile environments. Entirely clad in anti-allergenic titanium, immediately recognisable by its industrial design and brushed finishes, it goes equally well with adventurers’ gear or an evening outfit. This model houses an exclusive Manufacture movement, with a maintenance-free five-year guarantee. The Calibre MM01, which drives the hours, minutes, small seconds and date functions, is an in-house mechanical selfwinding movement with an optimal 55-hour power reserve, developed in collaboration with the Manufacture La Joux-Perret. It features a unique high-end decorative finish: for the first time at Mauron Musy, the bridges and oscillating weight have been hollowed out and microblasted in the centre and satin or sunburst-finished around the rim, in order to highlight the various inscriptions appearing in relief. The case also manufactured entirely in-house represents an authentic watch complication in its own right. Mauron Musy is the only watch brand in the world to have developed a mechanical gasket-free water-tightness system, the patented nO-Ring® technology. The result is a watch completely free of the costly maintenance associated with ageing polymers. THE AIKON LADIES This timepiece (35mm) exudes feminity while offering the convenience of a quartz movement. The beauty of the stainless steel case is heightened with a choice among a variety of possible dials. Wearers can also choose from a luxurious stainless steel bracelet or high quality, calf-leather strap. The Aikon Automatic 42mm builds on the Calypso’s reputation. The round case features a prominent bezel, incorporating six ‘arms’ which embrace its form, conveying an impression of strength and solidity, as well as a caring and loving embrace. The case in stainless steel successfully blends polished, brushed and sunbrushed surfaces. The dial features a Clous de Paris motif. The Aikon Automatic is water resistant to 200m and comes with a choice of a luxurious leather strap, featuring an integrated ‘M’ logo, or a stylish bracelet. The Aikon collection is constantly being enriched with new timepieces, including smaller dimensions (39 mm), chronographs, skeletonised timepieces and limited editions. A wide choice! Whether on, in or by the water, the Sea-Timer BlackMotion is totally in its element. This robust sports watch is the ideal companion for anyone who loves to be outdoors. And it is made by a brand that celebrates 150 years of experience in producing reliable instruments. This new Mühle sports watch is an absolute must for anyone who is always on the move and simply cannot wait to try out exciting new sports activities. The black stainless steel case of the Sea-Timer BlackMotion is highly recognisable. It features not only a 2.5-millimetre-thick double antiglare sapphire crystal but also boasts a solid screw-in crown with extra side protection. A process known as PVD (physical vapour deposition) is used to coat the case of the watch in multiple layers of titanium carbide (TiC). It provides multiple benefits: a surface as black as night, extremely resistant layer thicknesses and increased hardness of the stainless steel case. The case also boasts a pressure resistance of up to 30 bar and is complemented by an equally dark textile strap, made of water-resistant fibres. The calibre of the watch is the reliable SW 200-1 Mühle version movement. It contains the company’s patented particularly shockproof woodpecker neck regulator and is set to ensure accuracy values of between 0 and a maximum of +8 seconds per day. THE WORLD’S MOST ACCURATE TIME-KEEPING The Japanese brand unveils three new Eco-Drive models that deliver the world’s most precise time-keeping accuracy: within ±1 second per year. Caliber 0100. The world’s most accurate light-powered watch. Accurate to within one second per year; it keeps telling the right time. It is impossible to make a watch accurate to within one second per year without insisting on extreme precision in all the components that go into that watch. Eco-Drive has been continuously improved for over 40 years. By combining multiple technologies developed over this time, CITIZEN has created Caliber 0100. It is an Eco-Drive watch that marks — and keeps marking — each pure, individual second, beautifully, confidently and proudly. ACCURACY BOUTIQUE EDITION SOLVING THE MAGNETISATION PROBLEM The Accuracy boutique edition by ONEOF® is the very first connected tool specifically designed for stores and capable of simultaneously measuring and demagnetising any mechanical watch. The magnetisation of a mechanical movement has become the most common problem for all watch manufactures. Strong magnetic fields emitted by commonly used items (smartphones, leather goods, children’s toys…) can drastically affect the precision of a watch, up to minutes per day. The Accuracy boutique edition released by ONEOF® is the first connected tool designed to solve the problem of magnetisation, directly in-store. Its user-friendliness is impressive: once the device is connected to the tablet, it takes less than two minutes to measure, demagnetise and check the watch with a single touch on the app. With its neat design and customisation possibilities, the Accuracy boutique edition definitely adds great value to the customer experience. ONEOF® was created by two engineers with considerable experience in the watch industry. They were deeply involved in the development of some of the most exotic movements at TAG Heuer during the Jean-Christophe Babin era. Their credentials include the co-invention of the MikroPendulum and Mikrogirder, awarded the Aiguille d’Or at the prestigious Geneva Grand Prix in 2012. Accuracy boutique edition is the smartest tool ever designed for boutiques, bringing great benefits to the client experience. Already approved by more than 500 mono-brand boutiques, this Swiss made solution is on its way to ending the irritating problem of magnetisation. THE WORLD’S BRIGHTEST SELF-ILLUMINATING WATCH The T1000 is the world’s brightest watch with self-powered illumination. This concept watch was created to celebrate the 50th anniversary of mb-microtec, the parent company of traser. This radiant sensation, making its debut at Baselworld 2019, glows with an intensity of over 1000 microlumens and is fitted with no fewer than 318 trigalight pipes. The light output was measured and certified by the Federal Office of Metrology (METAS). The traser T1000 is the brighest self-illuminating watch in the world. A proprietary development, it shines 50 times more brightly than any conventional watch using H3 technology, which generates light in tiny glass tubes by combining zinc sulphide and tritium gas. The record-breaking watch is a special model that pays tribute to the 50th anniversary of mb-microtec. The Bern-based company is the inventor of the self-powered illumination technology trigalight, and a world market leader in processing glass capillary tubes. Traser’s parent company has been pioneering luminescence for 50 years and developed the world’s very first watch with self-powered illumination. Some key features of the T1000; Luminous elements: 318 trigalight tubes on the dial. Light output: 1100 ± 110 μlm. Activity: 41.8 GBq. Concept watch, not for sale. Casio is evolving its timepieces in all directions. The Japanese brand has developed various materials consistent with its concept of Absolute Toughness. Evolutionary technology has pursued reductions in thickness on a scale of 1/100mm for greater accuracy and attractiveness in design. Distinctive technique has applied traditional skills in original ways to achieve a new manifestation of Japanese beauty. G-SHOCK GRAVITYMASTER GWR-B1000 THE EVOLUTION OF SHOCK-RESISTANT STRUCTURES HAS REACHED A NEW LEVEL. THE NEXT STAGE OF TOUGHNESS BASED ON CARBON MATERIALS. Casio has developed a carbon core guard structure, a new kind of shock-resistant structure. In addition, the pursuit of extreme toughness has led to the use of a carbon monocoque case, which unifies the case and case back for a further improved airtight construction. Through the use of highly functional materials, such as the carbon on the bezel and band and titanium for the push buttons and button pipes, the structure of the watch is made stronger, more lightweight, and rust-resistant. The GWR-B1000 is equipped with BluetoothÂŽ and a radiocontrolled timekeeping system to achieve the accuracy required for professional flight missions. Introducing the new GRAVITYMASTER, an unwavering challenge to our utmost limits. SPECIFICATIONS Shock-resistant. Rust-resistant. Triple G Resist. Radio-controlled (Multi Band 6). Smartphone link functions: automatic time adjustment, easy watch setting (world time for over 300 cities, home time/world time switching, alarm setting), flight log function, phone finder. Solar-powered. Auto Hand Home Position Correction. Hybrid Mount Construction. Smart Access. Dual Time. Stopwatch. Daily alarm. LED light (Super Illuminator). 20-bar water resistance. OCEANUS OCW-S5000 INNOVATION: A THINNER CASE FOR A MORE SOPHISTICATED LOOK. ELEGANCE AND TECHNOLOGY. This innovative watch combines a unique blue colour with advanced titanium technology. The original, elegant style of OCEANUS is moving into a new era of innovation. An elegantly slim case just 9.4 mm thick is the result of one-sided mounting with high-density technology and a reduction in module components. Furthermore, the advanced time-correction system can acquire the correct time worldwide. The linked smartphone apps provide simple operation of various functions. The OCW-S5000 is the culmination of 15 years of OCEANUS evolution in pursuit of elegance and technology. SPECIFICATIONS Radio-controlled (Multi Band 6). Smartphone link functions: automatic time adjustment, easy watch setting (world time for over 300 cities, home time/ world time switching), phone finder. Solar-powered. Auto Hand Home Position Correction. Hybrid Mount Construction. Smart Access. Dual Dial World Time: two-city simultaneous time display. Stopwatch. 10-bar water resistance. EDIFICE EQB-1000D SUPER SLIM HIGH SPEC CHRONOGRAPH WITH FLAT DESIGN CONCEPT Introducing a new model that features smartphone link-up and the thinnest profile in the series. With this model, the engineers have achieved a slim design of just 8.9 mm, despite the multiple chronograph hands and the inclusion of high-spec functionality such as BluetoothÂŽ and Tough Solar. The reduction in thickness has been accomplished by incorporating high-density, one-sided mounting technology and by further reducing the thickness of the module parts. SPECIFICATIONS Smartphone link functions: automatic time adjustment, easy watch setting (world time for over 300 cities, home time/world time switching, alarm setting), stopwatch data transfer, phone finder. Solar-powered. Dual Time. Stopwatch (1/1000-second display on smartphone, 200-lap memory, last lap indicator). Daily alarm. 10-bar water resistance. G-SHOCK MRG-G2000GA IMPRESSIVE DIGNITY, STRENGTH, AND BEAUTY. DISTINGUISHED PRESENCE BORN OF FINE CRAFTSMANSHIP. The Japanese sword is an object that expresses the strength and beauty behind the craftsman’s skill. The centre links on the band are finished by the swordsmith Sadanobu Gassan. Furthermore, the watch has a COBARION® bezel in a motif that represents the beautiful shape of a sword point, a recrystallised titanium case that recreates the feel of a tempered blade, and deep-violet-AIP® processing reminiscent of hardened steel. In every way, the watch displays solid craftsmanship resulting from the fusion of Japan’s respected traditional skills and the latest Casio technologies. The ultimate G-SHOCK, combined with the qualities of a fine Japanese sword. This achievement comes in a shockresistant full-metal solar-powered G-SHOCK with Bluetooth®, GPS and radio-controlled timekeeping installed. SPECIFICATIONS Shock-resistant. GPS-controlled. Radio-controlled (Multi Band 6). Smartphone link functions: automatic time adjustment, easy watch setting (world time for over 300 cities, home time/world time switching, alarm setting). Solarpowered. Auto Hand. Home Position Correction. Hybrid Mount Construction. Smart Access. Dual Dial World Time: two-city simultaneous time display. Stopwatch. Daily alarm. LED light (Super Illuminator). Magnetic resistance (ISO 764 standard-compliant). 20-bar water resistance. Swordsmith SADANOBU GASSAN Born in Nara Prefecture in 1979, a member of the famous Gassan family of swordsmiths, Sadanobu Gassan was exposed to the world of swordmaking from a young age. In 1998, he began training with his father, Sadatoshi Gassan. In 2006, he was recognised as a swordmaker by the Japanese Agency for Cultural Affairs. Since that time, he has continued to challenge himself in new areas of craftsmanship that carry forth the traditions of the past, and has won numerous prizes and accolades in various competitions. As the sixth in the Gassan line from Osaka, he carries the burden of the next generation of Japanese swords. Sadanobu Gassan currently serves as a director for the All Japan Swordsmith Association. CLOSE-UP VIEW OF THE TWIN OSCILLATORS AT THE BACK OF THE WATCH Left, the Active-mode 5Hz oscillator; right, the Standby-mode oscillator. Recognisable by its large diameter and slow beat, its more delicate hairspring is four times smaller in cross-section. Note also that this same calibre has a new, instantaneous jumping mechanism for the date, month and leap year indications that reduces the effect of the jump on the amplitude of the oscillator. ith its Le temps suspendu watch in particular, which has become uniquely emblematic of a manner of playing poetically and philosophically with the very notion of time, Hermès has built up a horological territory of expression unlike any other. The new Arceau L’Heure De La Lune fully conforms to this whimsical trope which reinvents or reinterprets watch functions in a playful and dreamlike fashion. This moonphase, or double moonphase to be more accurate, in its own unique way revisits and transfigures one of the most explored indications in watchmaking. The new Arceau L’Heure De La Lune simultaneously displays the phases of the moon in the northern and southern hemispheres, playing havoc with our vision of things from the outset by placing South at the top and North at the bottom. And rather than being placed in an aperture, or even orbiting the Earth, the two moons stay put, and it is the two “Earths” – two mobile counters, one displaying the hour and minutes and the other the date on our home planet – that orbit, concealing or revealing the moon discs. All this while maintaining a horizontal reading position. The two counters are placed on a mobile chassis that literally hovers above the meteorite or aventurine dial in which the two mother-of-pearl moons are set as if in the cosmos, and completes one revolution every 59 days. This technical feat, brilliantly accomplished by Jean-François Mojon (Chronode) and powered by the Hermès in-house Calibre H1837 (produced in collaboration with Vaucher Manufacture, in which Hermès is a stakeholder) is enclosed in an exclusive mechanical module, it alone made up of 117 components. “The principal technical challenges lay in the wheel train transmission system and the planetary gears, and in finding suitable materials,” J.-F. Mojon explains. THE ARCEAU L’HEURE DE LA LUNE WATCH is available in two series limited to 100 each. It is mounted on a matte graphite or abyss blue alligator strap with a white gold folding clasp. Automatic movement, sapphire crystal and caseback. 43mm white gold case. hat a diabolically clever man, this Richard Mille. While for most watchmakers, the arts and crafts perpetuate a very outdated, eighteenth-century-style iconography made up of flowers, wild animals and bucolic landscapes, here he is, opening up a bright, pop-arty and psychedeliccoloured candy jar. Lollipops, marshmallows, cupcakes, liquorice, bilberries, lychees, cherries, kiwis, strawberries, lemons – before our very eyes an explosion of 60 dazzling colours across 10 different models: 4 Sweets and 6 Fruits. Take a basket and pick and mix. On condition, it must be pointed out, that you’re the kid of very rich parents. These little treats, 300 in all, weigh between CHF 106,000 and 157,000 each. Some have up to 16 sweets and fruits per dial. All in relief and of breathtaking micro-realism. Say what one will, Richard the Candy Man is way ahead of the rest of planet Horology. This said, he’s no stranger to colours, materials and textures. He has played with them in an extremely disciplined manner since his debut in 1999, from the outset combining visibly avant-garde mechanical architecture with research into materials. Hence the colours. And when Richard Mille does something, he does not do it by halves. Developing one single colour/texture/material – for example, imitating with precious exactitude the texture of a liquorice wheel – “takes us a year and demands an investment of over 100,000 francs” they tell us, with the utmost seriousness. Since 1675, the year when Huygens invented the balance spring, nothing has changed. Except for the introduction of silicon. Ok, it’s antimagnetic, but the process is expensive and complicated – all that to make something that breaks. What’s more, LVMH does not have access to silicon, which was more reason to tackle the problem and give LVMH the capacity to produce its own hairsprings, independently. That’s where R&D comes in. It's a long story but I'll make it brief. Back then I was doing some research into flexible materials. I was visiting a laboratory in New Mexico. On Sundays I’d get bored, so I’d read scientific literature. And that was when I came across an article on carbon. I went to take a closer look, in Utah, and I realised you could make hairsprings with carbon. CARRERA HEUER 02T TOURBILLON NANOGRAPH TAG Heuer Calibre Heuer 02T tourbillon manufacture movement with new in-house hairspring made of carbon composite, diameter 31mm, 33 jewels, balance oscillating at a frequency of 28,000 vibrations per hour (4Hz), 65-hour power reserve. Chronometer certified automatic tourbillon chronograph: hour and minute counters; tourbillon, hour, minute and seconds. 45mm case and lugs in black PVD titanium, carbon bezel with tachymeter scale, sapphire crystal with anti-reflective treatment on both sides, water-resistant to 100 metres (10 bar). Black open-worked dial with hexagon pattern, black flange with 60 seconds scale, black-gold plated chronograph minute and hour counters and tourbillon frame, rhodium-plated indexes and hands filled with SuperLuminova®, hexagon pattern. Price: CHF 24,900. Special packaging with integrated watch winder. RÉCITAL 26 BRAINSTORM® CHAPTER ONE Dimier “writing desk” case, 48mm x15.50mm, in sapphire with titanium lugs and caseback. Full grain alligator strap with 18K white gold pin buckle. Water resistance 30m. Hours, minutes, seconds on tourbillon, big date, power reserve indicator, hemispherical moon phase indicator. Guarantee 5 years. Three patents: spherical winding system, tri-dimensional toothing with multiple gearing. Double-face flying tourbillon. atches are designed to write the time before our very eyes. So why not base its shape on a writing slope? Starting from this simple idea, Bovet 1822 developed its famous case in the shape of a sloped writing desk, which offers an inclined area making it easy to read and capable of enclosing three-dimensional components. Consequently, the manufacture (a well-deserved designation, since Bovet 1822 manufactures virtually all its parts in-house, including the hairspring) has been able to produce numerous variations on the display theme, with rollers, domes, discs and three-dimensional hands. In this sense, the “writing slope” case creates a stage for the movement and its indications. This characteristic is used to particular advantage in the new Récital 26 Brainstorm® Chapter One, with its all-transparent, sapphire, inclined case – a bold and complex technical feat given the asymmetric profile of the middle, which forms a single element with the crystal. The only exception is the back, which consists of a grade-5 titanium bezel that holds a sapphire crystal and four grade-5 titanium horns. The movement is fixed directly to the back, and not to the middle. This makes the timepiece perfectly transparent, the better to display the three-dimensional spectacle of the movement and indications. The movement is regulated by a double-face flying tourbillon with a variable inertia balance that draws its energy from a single barrel which provides a power reserve of 10 days. Manual rewinding is made easier by a differential winding system that halves the number of turns of the crown required. riodically re-armed by the barrel mainspring, acts as an energy regulator. By regulating the minute wheel, it creates a more precise jumping minute hand that eliminates any possibility of a cadence error. The euphony of the four famous notes of the Westminster chime is achieved through a combination of several other advances: there are no delays in the hour, quarter and minute strikes; the square cross-section gongs welded directly to the crystal, which acts as a sound board, provide an exemplary sound. The trebuchet hammers, an exclusivity already seen in previous watches, deliver precise, clean strikes. The perpetual calendar, which displays the date by means of a central hand with a red pointer and the day, month and year (in whole figures) in apertures, can be set both forwards and backwards – a detail which may appear insignificant but which is complex to build and above all, highly appreciable if the watch, which has a power reserve of 50 hours, has stopped because it hasn’t been rewound. So to prevent any unwelcome surprises, it’s better to wear it. 30 SECOND VERTICAL TOURBILLON WITH CONSTANT FORCE AND DEAD SECOND Hours and minutes at 3 o’clock, small second at 6 o’clock, power reserve at 12 o’clock, vertical tourbillon at 9 o’clock. Power reserve 80 hours ± 2h. Manual winding calibre 1519 / 29 turns of crown. Platinum PT 950 or 18K 6N gold case 42 mm by 13.60 mm. Movement in 18K rose 4N gold with hour dial in enamel on white gold. High-quality finish: guilloché Clous de Paris on bridges, circular Côtes de Genève on base plate, screw heads polished and bevelled. arl-Friederich Scheufele is a man of determination and takes all the time necessary to achieve his objective. This much is evident from the gradual evolution of L.U.C, his collection of haute horlogerie watches, and his vines – wine being his second great passion. The L.U.C manufacture, which presented its first in-house movement in 1996, is now almost completely vertically integrated. From the development of the movement to the finished product design, gold smelting, case stamping and machining, calibre components, traditional hand-crafted finishes, surface treatments, polishing, assembly, adjustments and quality controls, Chopard masters the full range of watchmaking operations internally and applies them to each and every L.U.C watch. Moreover, since July 2018, the company has used Fairmined 100% ethical gold for the production of all its watches and jewellery. It's rather like his vineyard at Monestier LaTour in south-western France, which K.-F. Scheufele has patiently converted to biodynamic farming, and which you could also now describe as wholly vertically integrated. Because biodynamic farming means producing, drying and storing an impressive list of plants to serve as “homeopathic” treatments for the vines, which are now totally chemical-free out of respect for biodiversity. It’s another way, as in watchmaking, of perpetuating ancestral know-how. GRAND SEIKO URUSHI With its amber-coloured (or black, once mixed with iron) dial in Urushi lacquer sourced from trees near the Shizukuishi Watch Centre, where some of Seiko’s most advanced watchmakers work, its case polished using a new technique of the traditional Zaratsu method, which accentuates the beauty of its curved surfaces, and its sapphire glass, also curved, the Grand Seiko Urushi reaffirms the deeply Japanese identity of an otherwise global watchmaker. The new automatic calibre 9S63 that drives it, with a delicate small-seconds dial at 9 o’clock and power reserve (72 hours) at 3 o’clock, is accurate to +5 or -3 seconds a day. Three limited editions (rose gold (150), yellow gold (150) and stainless steel (1,500)), sell at between $7,400 and $29,000. TRILOBE LES MATINAUX INAUGURAL SERIES “Ride your luck, seize your joy and confront your risk. To witness you will see them converted.” René Char, Les Matinaux. It is rare for a watchmaker to quote a poet as demanding as René Char to “sum up the spirit in which Gautier Massoneau created Trilobe”. Seeing this watch is certain to convert you to this way of reading the time, which is innovative, elegant and, in its own way, classic, as is its geometry and trefoil motif. The movement was designed by the acclaimed Swiss masterwatchmaker Jean-François Mojon. This inaugural series consists of 100 numbered pieces – and the venture “is only just beginning”. 41.5mm steel case. 2892 self-winding movement with an additional module. Introductory price: €7320 incl. tax. – you could even see the screws on the bezel – had been rejected by most of the markets, except Italy. And on the other hand, he’d noted that Patek Philippe was buying back its old timepieces. What were we to do? The young generation, of which I was a part, wanted to invest to conquer the future, not bolster up the past. Mr Golay replied: “Ok, but be careful, the Royal Oak must not cannibalise the collection!” We thought that would never happen; at that time sales stood at around a hundred items. But Mr Golay had sensed the risk and today it has to be admitted that in launching its Code 11.59 Audemars Piguet is trying to get out of a situation he anticipated a few decades ago. That said, the incredible good fortune of the Royal Oak perfectly demonstrates that the greatest watchmaking successes are achieved by immediately recognisable watches. It’s the end customer who feels the need to have their watch recognised by society. That’s a lesson you should never forget. In 1979, right in the middle of the quartz revolution, you left Audemars Piguet for Omega… J-Cl. B.: Omega put me in charge of developing sales of gold watches. At that time, Omega was selling lots of gold-plated products and the danger was that they risked killing off the actual gold products. Gold watches target another type of customer, so they had to be different, truly distinct. So I created a specific department to develop a gold collection. But from 1980 on, the production portfolio was made up basically of quartz watches. At that time, the prestige, the supreme value, was in precision. That was avantgarde! To visually suggest that the precision of quartz was indeed present and no adjustment was needed, we launched a De Ville collection without a crown, a very special watch. That brief period with Omega lasted until 1981, when the “Hayek plan” to restructure the watchmaking industry began. Fritz Ammann, the boss of Omega, resigned and I didn’t get on with the new boss, Peter Gross, who came from the bank UBS. So, I resigned along with the “Ammann bunch” and left without a new job to go to. signed a contract with Ebel. Pierre-Alain Blum wanted a special quartz movement for Cartier, a better-finished quartz, dressier than current trends. By accepting that contract, Frédéric Piguet had to lay off watchmakers, but he knew very well that for him, the future did not lie in quartz and that it was impossible for him to compete over any distance with the industrial watchmakers. With the creation of Blancpain, new synergies were able to emerge between Frédéric Piguet and ourselves. Blancpain had to be successful. at a Credit Suisse meeting that quartz was carcinogenic, dangerous because of its batteries – it’s true that I’d invented the story of a Zurich doctor who forbade his patients to keep their quartz watch on their wrist and offered them a mechanical watch in exchange (laughs). And beyond the communications, what was your idea for Blancpain itself, as a product? J-Cl. B.: I didn’t want to relaunch Blancpain solely with hours and minutes watches. They had to have the traditional sobriety, beautiful finishes, but also additional features. A moon phase was an ideal indicator to our minds, infused with nostalgia and poetry. In the attic at Frédéric Piguet, we found all the tools we needed, unused since the 1940s, to make a day, month, date and moon phase movement. We got to work right away and modified it so that the month changed automatically every 31. Browsing through our own archives, which we’ve just digitised, we’ve realised that the renaissance of the mechanical watch actually happened very fast. Quartz did plenty of damage, profoundly transforming the structure of Swiss watchmaking, but it didn't reign supreme for long. J-Cl. B.: The new rise of mechanical watches happened in just a couple of years. Judging by the growing success of Blancpain, mechanical watches came back in force from as early in 1982. Franck Muller was one of the first. Günter Blümlein, who headed up IWC and Jaeger-LeCoultre at the time, played a major role, along with others… But it should be pointed out that during this whole time, apart from the Oysterquartz – highly sought-after today, by the way – Rolex, unlike others, never stopped producing mechanical watches. Watch cases, bracelets and buckles for Haute Horlogerie. During those years, Omega seemed to grow spectacularly. J-Cl. B.: At Omega, I was in charge of marketing and products. But otherwise I was still CEO of Blancpain and in charge of SMH (not yet called the Swatch Group) for Japan, South Korea and Singapore. Between 1972 and 2001 Omega increased its turnover from CHF 370 million to 1 billion. One of the key reasons for this success was the openingup of China from 1993, to which we gave proper status. Until then, all the watchmakers had regarded China as a dumping-ground, but I introduced quite a different policy: in China we delivered the same products as in Europe and the United States. We not only took Cindy Crawford, but James Bond, NASA and Michael Schumacher as well. At the same time as to all the other markets. But why and how did this extraordinary venture end? J-Cl. B.: In 1999 I caught Legionnaire’s disease which floored me and in 2001, worn out, I quit my responsibilities at Omega, keeping the others. I became a free agent. But I was no longer a money-spinner; people more or less forgot about me. So two years later, at the end of 2003, I left the Swatch Group completely. But my passion for entrepreneurship was undiminished, and in 2004 I approached Hublot and its boss and owner, Carlo Crocco. I knew him because he was the distributor of Blancpain in Italy. He was intending to step down from the operational side of the business a little and devote himself to his major philanthropic projects, especially in India. During our interview I asked him: “What is your message with your brand?” Carlo Crocco replied: “We’ve made a gold watch and for the first time we’ve mounted it on a rubber strap. Its design, that resembles a porthole, is reminiscent of the yachting world, the sea….” I said to him: “But what you’re telling me there is the product description, that’s not a message!” And I made a drawing for him that any child could understand. I explained to him that the most important thing was the concept. I drew the sky, and there’s the Earth. On this Earth there are trees, underground there are treasures, oil, uranium, gold. But gold and rubber have never been associated, because gold is underground and rubber in the trees. But they were together once upon a time, before the Big Bang, and when the Big Bang happened, the gold said “I’m going underground” and the rubber said “I’m off to the trees”. And since the Big Bang they’ve never been together, but you, Mr Crocco, you have brought the gold back from underground, and you’ve brought the rubber down from the tree and you’ve fused them together. And you’ve created the first fusion in the art of watchmaking. And so I’m going to call the brand’s message the “Art of Fusion” and I’m going to call the watch Big Bang. And this simple concept of fusion applies to the product, but to more than that… J-Cl. B.: It applies to everything. You find this duality everywhere: hot/cold; day/night; yin/yang. Always contrasts: Hublot is always about contrasts. Moreover it applies even to life itself: only living things can connect yesterday and tomorrow. Dead things can only connect yesterday and now. So this concept of fusion is the concept of life. When you have a concept which is that of life and what’s more you can draw it for kids, how can you lose! Even footballers can understand it (laughs). Few brands have such a clear concept and that explains the success of Hublot, which is probably the brand with the strongest growth over the past 15 years. for CHF 50, there is. Or for several thousand francs. It’s the whole middle range that’s in danger. With Hublot, TAG Heuer, Zenith, you invested heavily in research and materials, but also in features. I’m thinking in particular of the 1/100th then 1/1,000th of a second … J-Cl. B.: I’ve always invested huge amounts in R&D. I’ve always believed in R&D and I’ve always said: if you do lots of marketing, you have to always bear in mind that marketing is air, it has no substance. Sooner or later, a ball pumped full of air will deflate and fall. So let’s build substance and credibility with R&D, that way the ball will be bolstered up, it won’t fall. As an entrepreneur I think I’m one of the only people who have always thought and said that investment in R&D has to be proportional not to turnover, but to the investment in marketing. But R&D demands patience. There’s always waste in basic research, you’re never sure of succeeding and quite often, when you’re looking for this you find that. You shouldn’t look solely at the figures. You have to move forwards, sometimes in the dark. And financiers don’t understand that very well, they get impatient, they want immediate results. Without Guy Sémon, a physicist, mathematician and researcher, I would never have succeeded in doing what we did at TAG Heuer, whether the smartwatch or any of the mechanical innovations. He advised me, guided me, right from the first day we met. Now you’ve arrived at the end of a cycle. Are you ready to embark on new adventures. J-Cl. B.: Quite honestly, I don’t know what to do with myself (laughs). It’s possible that one day, I’ll have an idea and start off again. But until I’ve had some thunderbolt of an idea, I won’t embark on anything. I still have a little “buffer” of around ten years, and no one’s waiting for me to turn out an extra-flat automatic watch. I don’t want to play that one game too many. OK, I could have gone to see Mr Arnault and told him we were splitting it fifty-fifty and that we were going to launch Guy Sémon’s oscillator under my name. That would have made a sensation, I can tell you! But now it’s Zenith who’s taking care of it and that’s fine. Having said that, if one day you have a really good idea, feel free to come and see me. But I’ll only make a move for something really exceptional. The original Helvetica font (top) vs. the Arial font, a cheaper version. For all their use of characters, Swiss watchmakers have failed to take advantage of their country’s reputation for excellence in typography, with some experts even accusing them of negligence in this regard. We explore this phenomenon within the Swiss watchmaking industry. wiss watchmakers are often eager to stress that they are masters of their craft, down to the smallest details. Every micro-element, they argue, takes its rightful place in a watch’s composition. This is certainly true in terms of mechanics. But there remains an elephant in the room: typography. Be it numbers (for hours and dates) or letters (for the brand’s logo, the name of the model or the ‘Swiss made’ notice), typographical characters play a central role in a watch’s identity. They can evoke classicism and tradition, as well as strength, precision and technique. Each typographic font has its own set of connotations. In Swiss watchmaking, however, characters are often selected and implemented without any real process of reflection. “A mere glance at contemporary watchmaking production is enough to see that most manufacturers’ typographical choices lack professionalism and originality,” says designer Vincent Sauvaire, who wrote a thesis on the subject during his studies at the Ecole cantonale d’art de Lausanne (ECAL). A stamp issued for the anniversary of the CFF railway clock, an icon of Swiss design. AN ACE UP THE SLEEVE Watch designers still need to be trained in typography. “The watchmaking stream at the University of Applied Sciences and Arts in Neuchâtel doesn’t include a single typography course,” laments Tschumi. “Their training is clearly not practical enough.” The same is true of the new chair in watch design at the School of Art and Design (Haute école d’art et de design, or HEAD) in Geneva, which also doesn’t offer typography courses. A great exemple of Swiss Style in Europa Star in 1961. The collaboration between Max Bill and German brand Junghans remains unchallenged to this day in terms of style and typography. A GERMAN SENSITIVITY Over the past few decades, German brands such as Junghans (with its dial designed by Max Bill in 1961) and Nomos Glashütte have successfully positioned themselves within the contemporary rigour segment of the market. “These brands have been particularly clever in their decision to work with designers trained in typography,” explains the watch industry journalist Timm Delfs, co-author of a book on watch design (On Time, Museum für Gestaltung, Zurich). Will Swiss brands follow suit? Vincent Sauvaire believes so. “It was my fascination with international typographical style, and particularly Josef Müller-Brockmann’s work on the grid system, that led me to come to study graphic arts and typography in Switzerland,” he says. “And since I was surprised by the extent of work that remained to be done in this area within the watchmaking industry, I decided to start offering my services to the major brands.” Indeed, the endeavour has proven a success, and Sauvaire has had the opportunity to collaborate with several companies based in Switzerland, including Vacheron Constantin and La Montre Hermès. To keep in mind the lessons of the past, | CLUB and get instant subscribe to access to over 60,000 pages of watch history. One small step for a man, a giant leap for mankind and an extraordinary destiny for the watch that accompanied Man’s first steps on the Moon, thereby becoming the greatest icon in watchmaking history: the Omega Speedmaster “Moonwatch”. Introduced to the public by Omega in 1957, the Speedmaster was designed for mainly sporting purposes, such as in motor racing. However, its fate took a completely different turn in the early 1960s. Astronauts going to space, some of whom wore a Speedmaster for private use, wanted to be officially equipped with a reliable, accurate and resistant watch. For this reason, NASA undertook a series of rigorous tests in extreme conditions in 1964 to select the best chronograph to accompany them on their space missions. The Omega Speedmaster won these tests and was officially certified (“Flight Qualified for All Manned Space Missions”) by NASA on March 1, 1965 for the Gemini project. It was in July 1969 that it truly made history, serving the astronauts of the Apollo 11 mission (Neil Armstrong, Buzz Aldrin and Michael Collins) for man’s first steps on the Moon. This book retraces an extraordinary epic and the evolution of a unique and timeless watch which, from its beginnings in 1957 through to the current models, has remained endlessly fascinating. tart from the edges, take territory with the highest value, know when to give up are the three main principles of go, a game about staking out and capturing territory. And that’s exactly what is currently happening between the two major international watch events, Baselworld and the SIHH. Since 1991, the SIHH definitely started its game of go “from the edges”, with the three brands Cartier, Piaget and Baume & Mercier, joined by then independent brands Gérald Genta and Daniel Roth. Starting with this modest edge of the board, the SIHH gradually expanded its territory through the group’s acquisitions and a few independent additions. Its strategy, as in go, was to gradually surround Basel, with the eventual aim of controlling the board from the centre, according to the second rule of go: “Take territory with the highest value,” which in this instance meant nailing its colours to the aristocratic mast of Haute Horlogerie. Up to this year, 2019, it was easy to assume that the SIHH’s territorial strategy was the obvious winner, despite the defections announced by Richard Mille and Audemars Piguet, who for unrelated reasons had decided to abandon the big watch fairs altogether. With the recent addition of the Carré des Horlogers, featuring the most celebrated independent watchmakers of the moment, and the support of powerful neighbours come to bask in its aura, the SIHH seemed to have all but dominated the central territory of the goban (the go playing board) with its 361 intersections. Meanwhile, the Swatch Group, master of another central territory, seemed to have dealt a fatal blow to Baselworld by implementing the third principle of go: “Know when to abandon your position”, thus leaving an enormous void by pulling out. The territories of power players Rolex and Patek Philippe, as well as those of other venerable actors like Chopard, still seem to be holding strong. Geographically positioned on the edge of the goban, the LVMH brands appeared to be undecided, as did the hallowed domains of Breitling and Chanel. Were they about to go over to the enemy? There came a surprise announcement that completely turned the tables. The two adversaries announced they would form an alliance, in the form of a chronological rapprochement from 2020 (the SIHH will run from 26 to 29 April in Geneva, followed immediately by Baselworld, from 30 April to 5 May). The game would thus be declared a draw. But, according to the rules of go, there can be no draw, thanks to the komi, a compensation bonus including the only half point it’s possible to score in the game. So someone always wins, even if by just half a point. Who will win the current game? Baselworld, which many had thought was in its death throes? The SIHH? Why should anyone in the Carré des Horlogers or in the lavish hotel suites near the lake bother to exhibit in Geneva, if they’re going to Basel immediately after? The Swatch Group, as the distant observer? But as long as Rolex, Patek Philippe, LVMH, Chopard, Chanel and Breitling stand firm in their Basel territory, the game of go will not be over. Measure & demagnetize any mechanical watches, directly in boutique.